Color me SMITTEN! 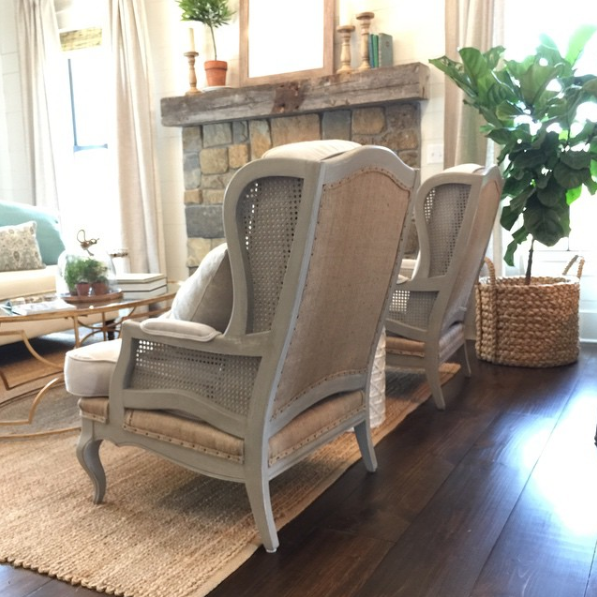 She and her family recently moved from that house, but Nikki mentioned that she plans to recreate the wainscoting in their daughter’s new room, too. Such a cute idea! 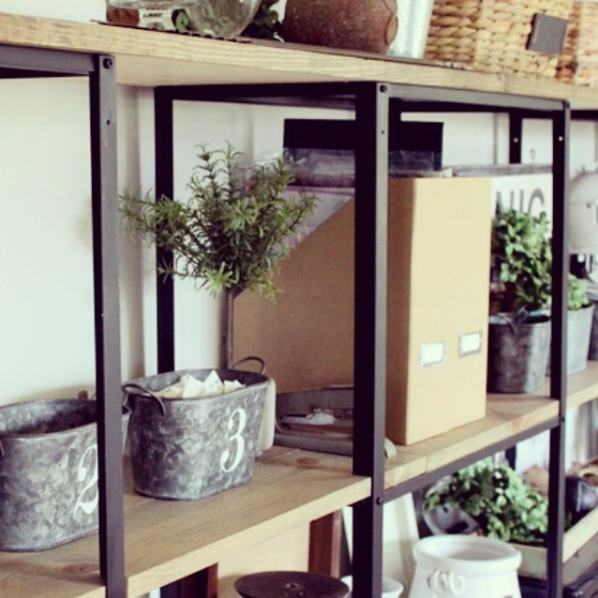 Next up, PrvbsThirtyOneGirl ‘s DIY shelving. Would you believe she made a whole wall full of these beauties for under $100!? Quite a change, huh? 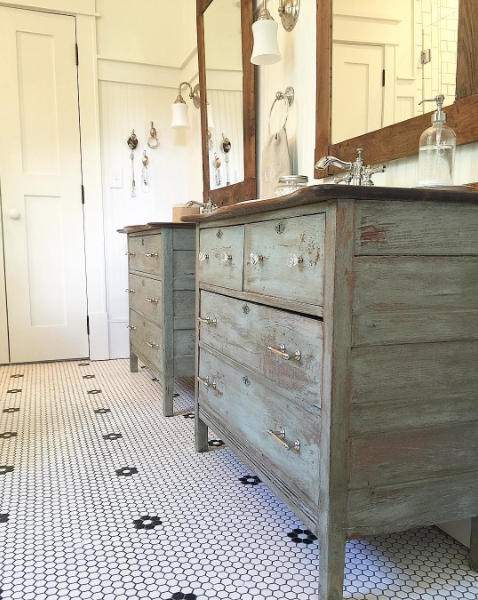 She used painters drop cloth, burlap and Miss Mustard Seed’s milk paint to give them their new look. I love ’em! The caption under that insta-pic explained that they found wood planks under the drywall and original wood floors under the carpet, linoleum, and plywood. They turned the floor boards into bead board for the ceiling, which they raised back up to its original height. 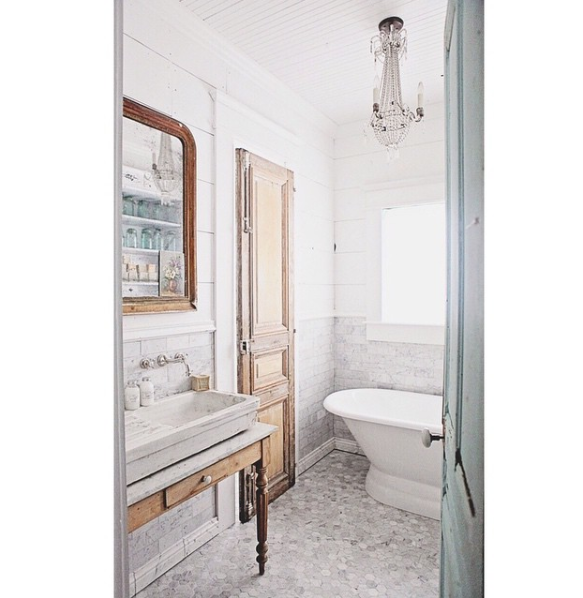 They also discovered an original bathroom window that was closed off, replaced the old shower with an old tub, and planed and added tongue-and-groove joints to the wall planks and put them back up on the walls. So many dreamy design ideas in there! 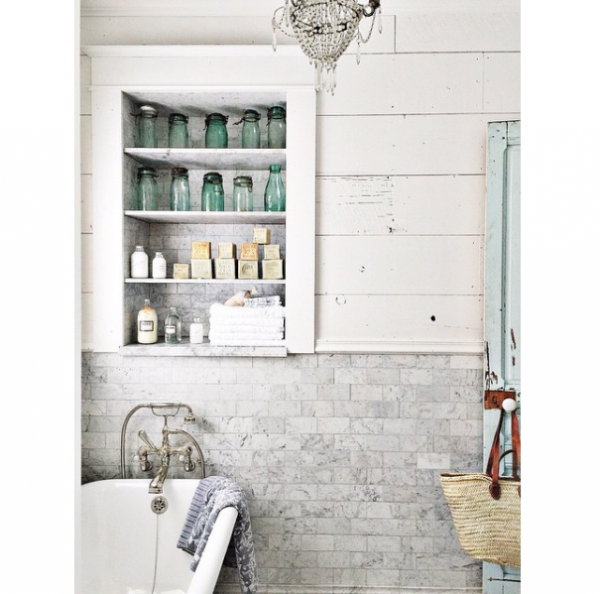 You can search the hashtag #DreamyWhitesLifestyleBathroom to see lots more photos of this room on Instagram! She found the two antique chests and turned them into vanities. She sanded down the tops and stained them dark walnut and then painted the bases with a mixture of ‘Kitchen scale’ and ‘White Ironstone’ milk paint. After that, she waxed them with antique brown wax. Stunning! SUCH a great use of otherwise wasted space! She’s painting all the cabinetry soon, and I can’t wait to see how everything turns out over at ThriftyDecorChick.com when she’s done! 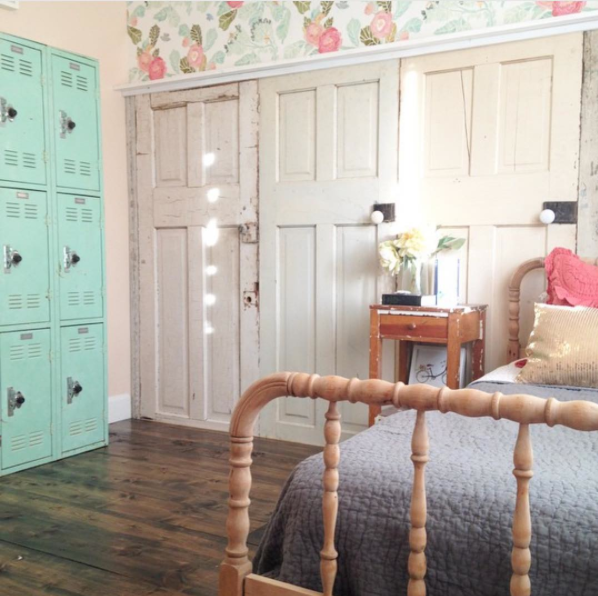 I love the first picture of the salvaged door wainscoting. What I love even more is the wallpaper above it! It would be perfect for my daughter’s room. Do you have the link from where you found it? I’ve looked on her site but can’t locate it. I’d love to find the source if possible. Thank you for the inspiration! Those made-over chairs blew my mind. 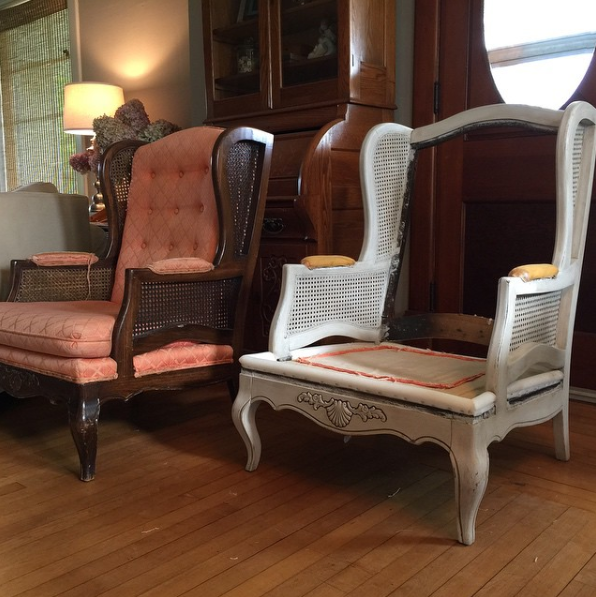 When we go garbage picking….we see chairs like that curbside all the time (and other cool furniture too) and I think to myself…..nice, but what would I do with it? Garbage picking furniture in fun only if you have some ideas how to use the stuff. Thanks for the inspiration! I really like this little segment you’ve been doing. I vote for making it a weekly thing!! I hope this becomes a regular feature! So inspiring! 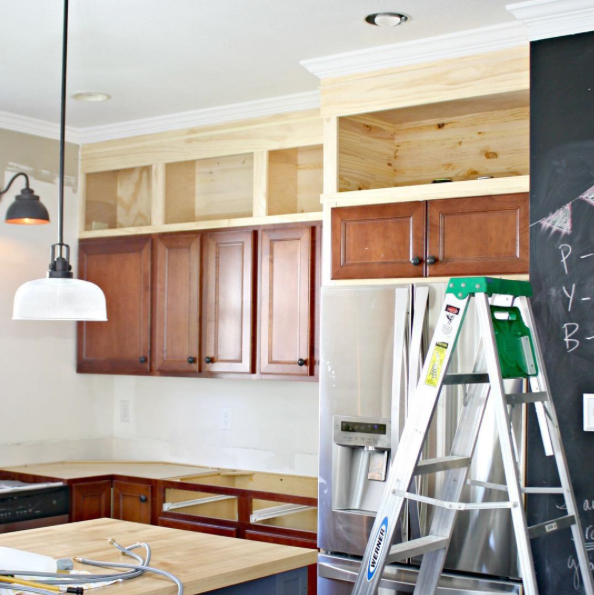 I did that same thing to my kitchen cabinets! Turned out to be a great place to store my abundance of cookbooks! Wow some of those projects are so pretty!! 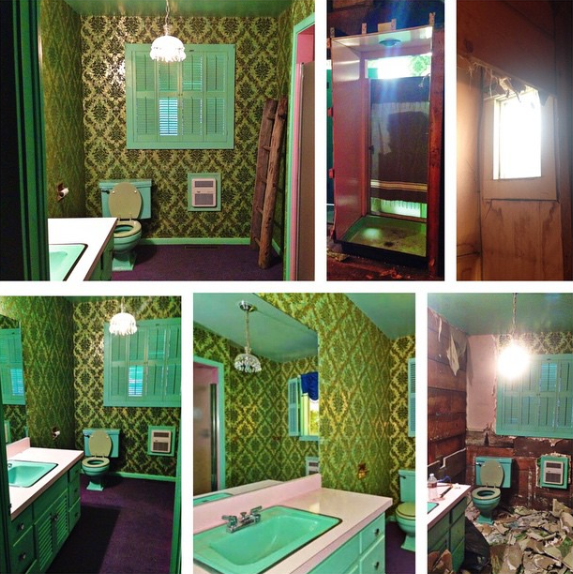 But that bathroom?! WOWWW what a transformation, it is simply stunning now.